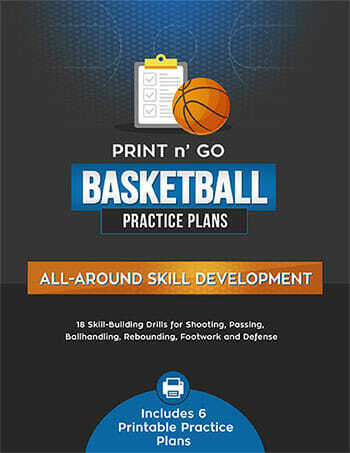 When I am [tag]teaching basketball skills[/tag] I like running this [tag]basketball drill[/tag] as the skill builder. 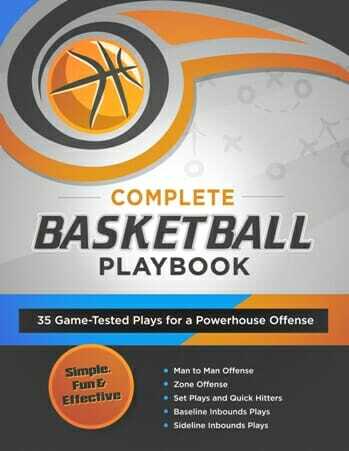 This drill is run using two [tag]basketball[/tag]s.
Run a lay up line with a trailing rebounder, the rebounded ball is outlet passed down the baseline and then passed to front of lay up line. 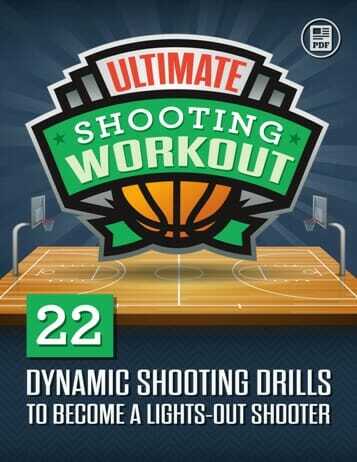 At the same time a shooter is positioned on the opposite baseline from the outlet receivers. The lay up man and rebounder remain under the basket after first outlet pass, fighting for rebound position (attempting to box out). The stationary shooter is instructed to shoot after the first outlet pass, and that rebound (the second rebound) is outlet passed down the baseline and then passed cross court to the next shooter. Both balls are now reset. After the stationary shot, the shooter goes to outlet receiver line. After second rebound, lay up man goes to shooter line, rebounder goes to outlet line. After the outlet receiver makes their pass they get into rebound line or lay up line (players asked to alternate lines each time through). A minimum of five players is needed (one shooter, one rebounder, one lay up man and two outlet receivers).